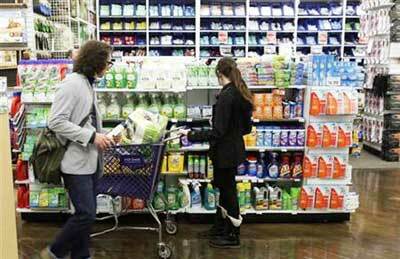 Americans felt better about their economic and financial prospects in early May as consumer sentiment rose to the highest level in nearly six years, an encouraging sign after other recent data had suggested broader US growth is cooling. A gauge of future economic activity released yesterday also suggested the expected slowdown will be temporary, with the index rising in April to a near five-year high. Economists expect growth will likely slow in the second quarter from the 2.5 per cent pace at the beginning of the year as tighter fiscal policy starts to bite. But recent stronger than expected improvement in several areas, including the labour market and retail sales, has suggested the recovery remains resilient. "We're still definitely on the recovery path. We expect that this is going to be a very long and gradual recovery," said Raymond James chief economist Scott Brown. "Most economists are looking for stronger growth in the second half of the year and into next year." The Thomson Reuters/University of Michigan's preliminary reading on the overall index on consumer sentiment rose to 83.7 from 76.4 in April, topping economists' expectations for 78. Economists will watch to see if the improvement will be confirmed at the end of the month with the final sentiment reading. There has been some volatility lately between the initial and final reports as government austerity takes effect, Barclays wrote. The cheery attitudes at the beginning of the month were particularly seen among upper-income households. More consumers gave a favourable view of their personal finances than in anytime since 2007, with the largest gains among households in the upper third of income levels. More respondents also thought the economy would continue to improve in the year ahead. Higher earners more frequently reported having less debt and higher asset values, though consumers were still not that much more optimistic they would see higher income in the year ahead. Upper income households are more likely to be invested and therefore reap the benefits of the stock market rally, which has taken the market to record highs this year. Since the beginning of 2013, the benchmark S&P 500 is up about 16 per cent. The rise in stocks may also be offsetting any hit to consumers following the expiration of the payroll tax holiday at the beginning of the year, which raised taxes for many Americans. "For (upper income) people, the payroll tax and petrol prices didn't really matter much, but stock prices and home prices rising, that's a big, big plus," said Brown. Shopping plans were similarly encouraging, with the gauge of buying attitudes for durable goods rising to 148 from 137. Consumer activity accounts for about two-thirds of the economy. "Changes in confidence don't always filter through into changes in spending, but the omens are good," said Capital Economics economist Amna Asaf. Yesterday's reports gave a boost to stocks with Wall Street trading higher in the late-morning. The dollar rose against the euro and yen shortly after the data, while Treasuries prices fell further. A separate report from the Conference Board showed its Leading Economic Index increased 0.6 per cent to 95 last month, the highest level since June 2008. The index had slipped 0.2 per cent in March.